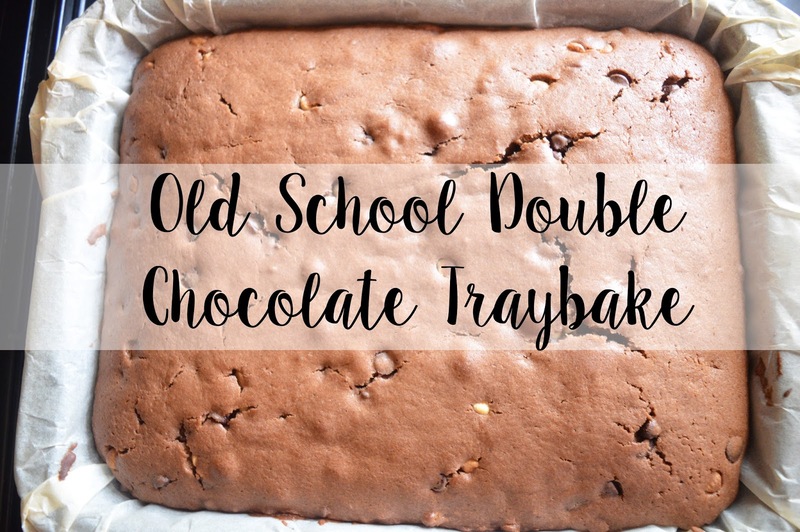 Today I have another baking post to show you guys how to make this gorgeous double chocolate traybake. This used to be one of the only things I could bake when I was younger. It is the most simple recipe you could possibly find and it doesn't take long to bake either. I remember making this nearly every single week because I always wanted to bake something but I was too young to know how to bake more in-depth cakes. This was probably ten years ago that I started making this cake, and I still make it today because it's soft, gooey and so chocolatey. If you want to know how to make this, then carry on reading! You can use any cake tin you want, but make sure to grease it or line it first! Place all of the ingredients into a bowl apart from the chocolate chips and mix until smooth. Spoon in the mixture into your prepared cake tin. Bake in a preheated oven of 180 degrees celcius or gas mark 4 for 30-40 minutes until golden brown and springy to the touch. Leave to cool in the pan and then dust with icing sugar. This cake can be frozen up to two months if wrapped well. Defrost at room temperature. Let me know if you make this traybake, and if you do, tag me in it either on instagram (@_kimberley jessica) or on twitter (@kimmcpherson_). I'd love to see your creations. Make sure to follow me on Bloglovin.